Let the battle begin. 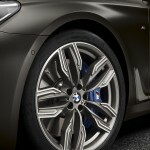 Earlier this week Alpina unleashed the 600 hp B7 xDrive. 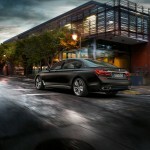 Blending high performance and luxury the B7 immediately became the halo sedan of the BMW range. 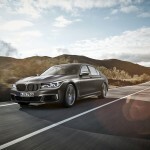 Now a mere three days later BMW M has responded with a fully fettled 7 Series that challenges that assumption. 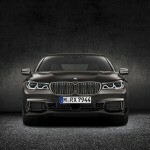 Enter the V12 powered 600 hp M760i xDrive. Yup. 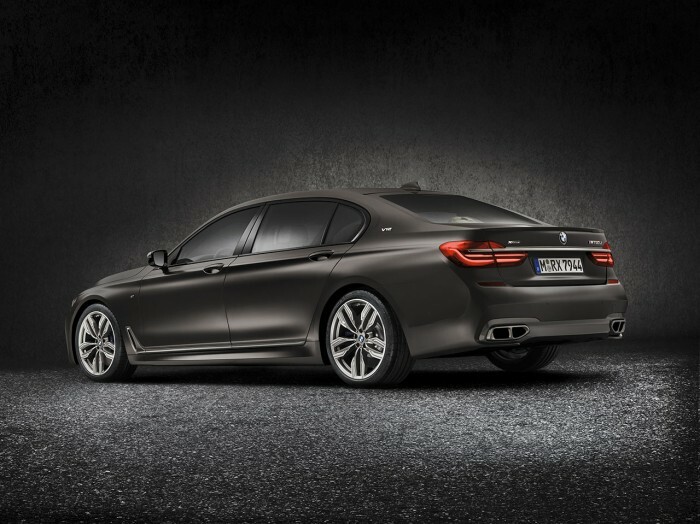 BMW now has two different 600 hp 7 Series performance flagships. While the headline figures may be identical, there are a few stark differences between both. 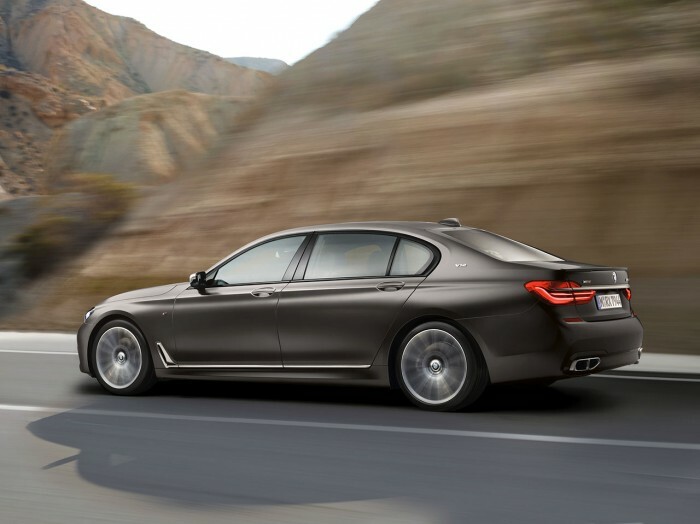 Unlike the Alpina B7 the M760i xDrive is electronically limited to 155 mph. 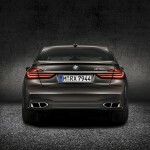 Then there’s the extra four cylinders of power that M employs to achieve the 600 hp figure. 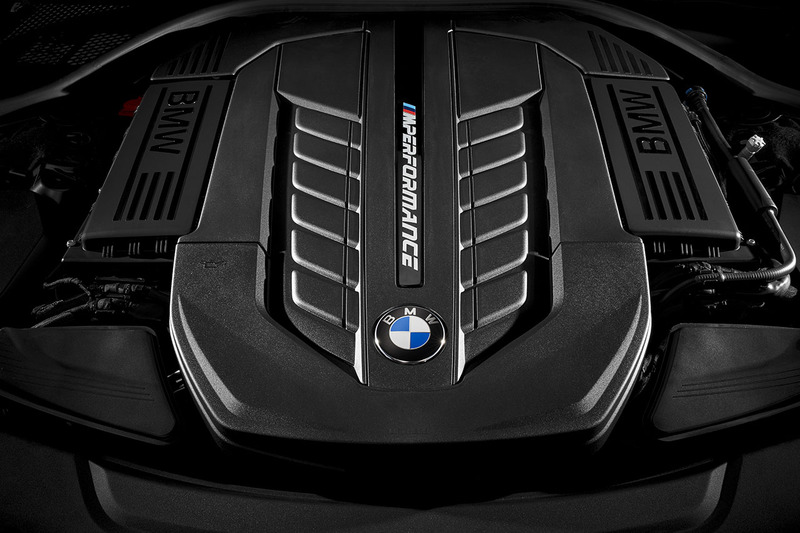 The M760i pushing out 590 lb-ft from as low as 1,500 rpm. Interestingly the B7 produces the the same 590 lb-ft but at a higher 3000 rpm. In other words expect the M760i to be more effortless in its delivery and a little less focused on outright performance. Case in point the 0-6o times. 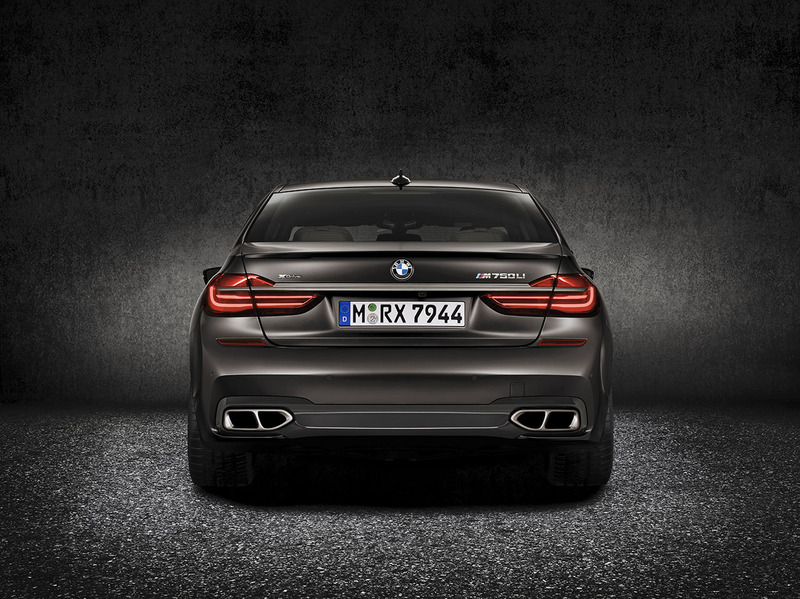 The heavier M760i sprints to 60 mph in a mere 3.9 seconds. 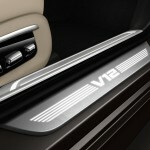 The B7 on the other hand launches to 60 mph in a staggering 3.7 seconds. Folks that was supercar territory just a few years ago. 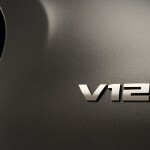 Anyone who doesn’t think we’re living in a golden age of performance cars needs to look at the stats. While we may be bemoaning the lack of feedback (both cars have Active steering), and increasing weight, we have no such issues with outright performance. 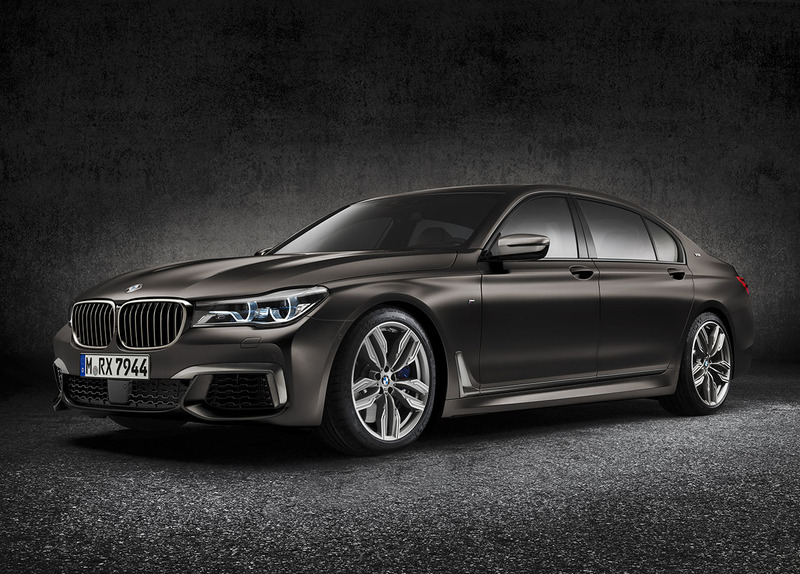 Official Release: Today, BMW announced the all-new BMW M760i xDrive, the latest addition to the BMW M Performance line-up. 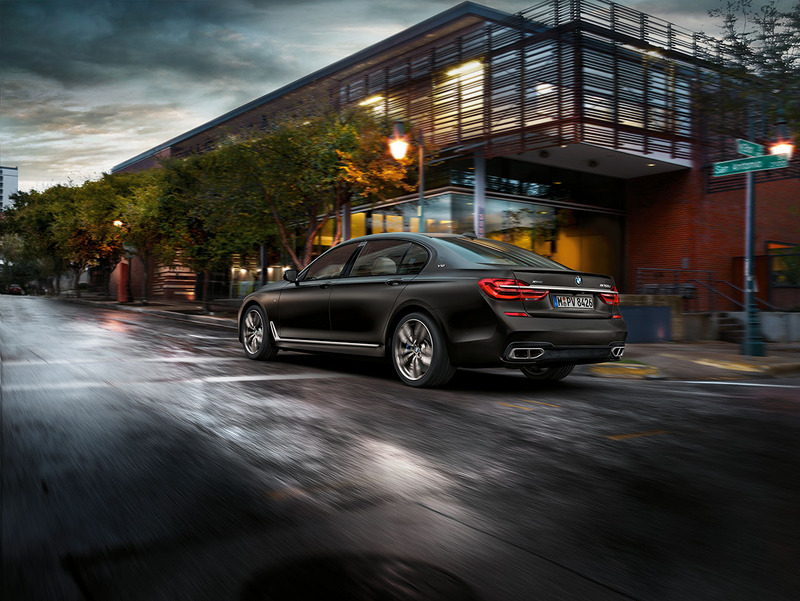 With the introduction of the 2017 BMW M760i xDrive, the sixth generation BMW 7 Series adds the first M Performance TwinPower Turbo 12-cylinder to its offerings. 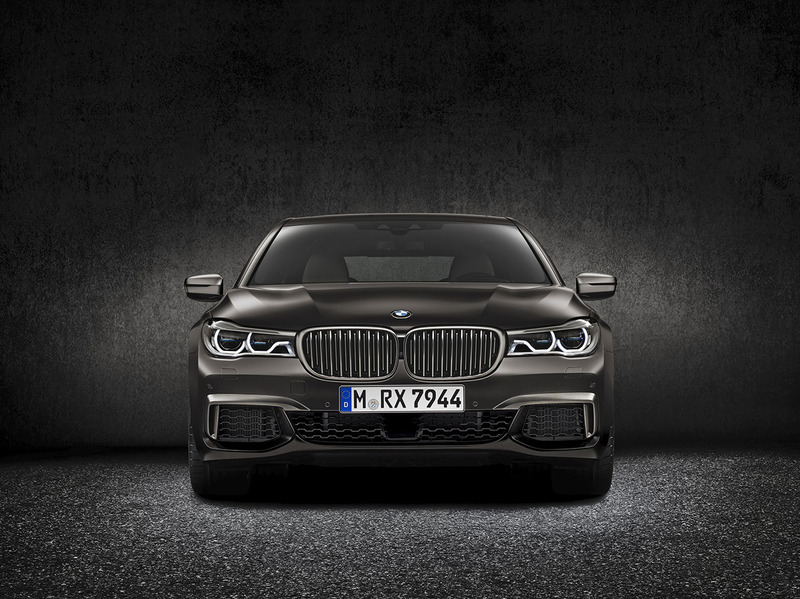 The all-new BMW M760i xDrive combines luxurious driving, style, safety and innovative technologies while embodying M Performance dynamics with the integration of the first 12-cylinder gasoline engine with M Performance Twin Power Turbo technology. 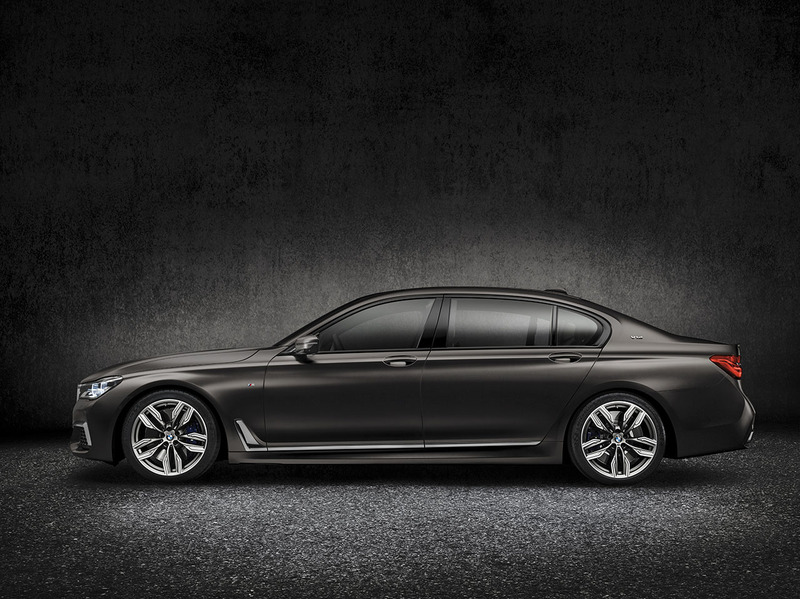 The BMW M760i xDrive will arrive early in 2017 and MRSP will be announced closer to launch. 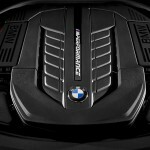 The M Performance TwinPower Turbo 12-cylinder gasoline engine in the new BMW M760i xDrive has a displacement of 6,592 cc, developing 600 hp (preliminary figure) at 5,500 rpm and peak torque of 590 lb-ft from as low as 1,500 rpm. 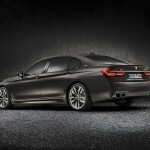 These performance figures enable the luxury sedan to accelerate from 0 to 62 mph in just 3.9 seconds (preliminary figure) and on to a governed top speed of 155 mph. During the development of the all-aluminum block, the engineers focused on maximizing rigidity while also minimizing weight. Using a closed- deck construction combined with bolts holding the cylinder head down on the bed plate of the crankcase, the engine ensures maximum stability on the cylinder liners. Double bolts on the main bearings with an additional connection to the side panels through threaded support bushes and bolts reduce the influence of lateral forces from the crankshaft on the crankcase. Iron-coated aluminum pistons, forged connecting rods assembled using the cracking process, and a forged crankshaft, ensure vibrations and noise are kept to an absolute minimum. 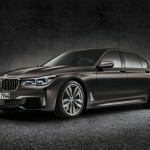 The Driving Assistant Plus system has been expanded for the new BMW 7 Series model range to include the Traffic Jam Assistant, Lane keeping assistant with active side collision protection, Rear collision prevention and Crossing traffic warning functions – and features as part of the specification for the new BMW M760i xDrive… The new generation of the Surround View system also includes a 3D View and Panorama View option in the Control Display. 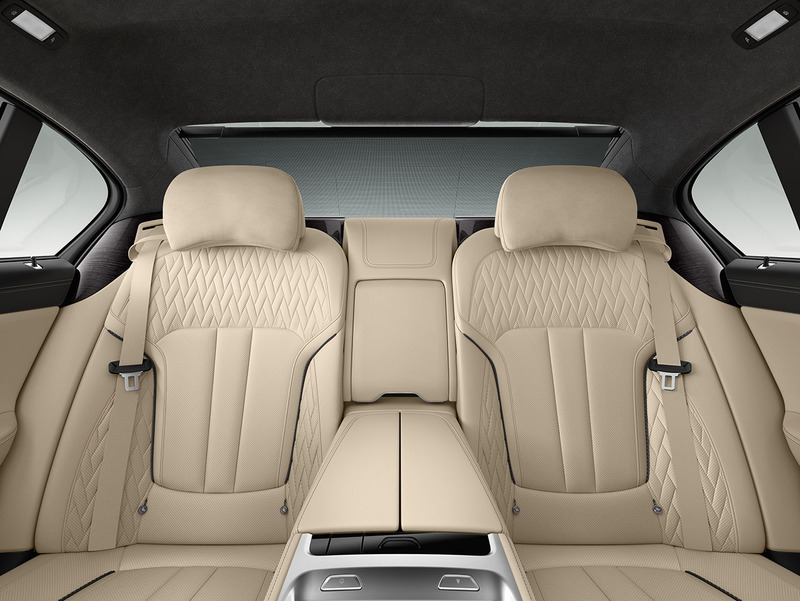 An interior shaped by sporting elegance. 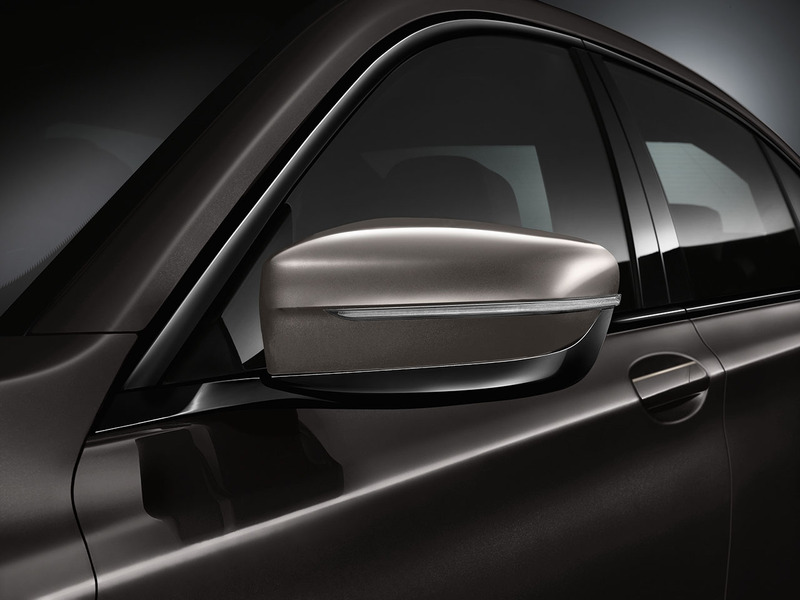 Inside the car, carefully arranged M accents provide an elegantly sporting allure. 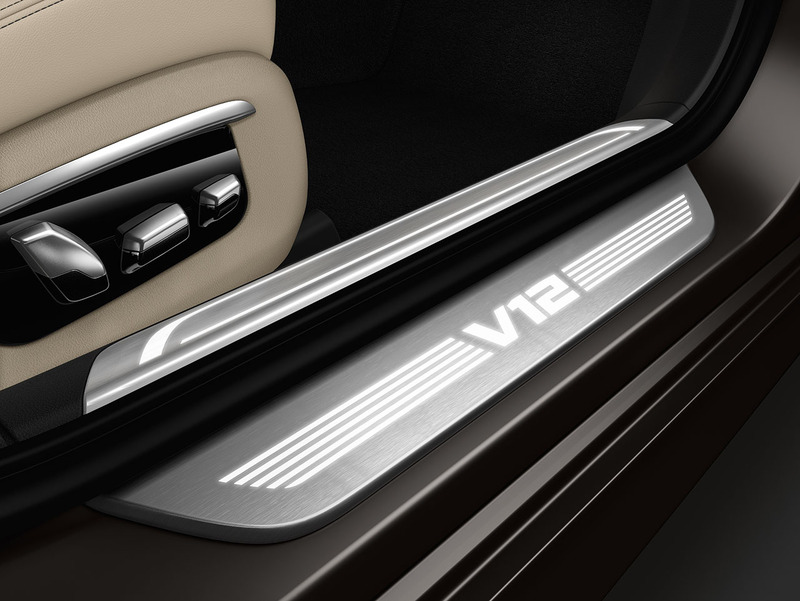 Gleaming door sill plates in Fine Brushed Aluminum with an illuminated V12 logo indicate the presence of the range-topping engine underneath the trunk. 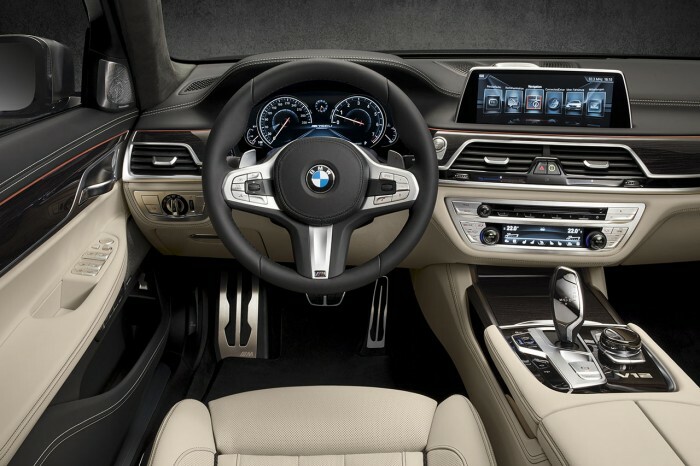 The rim of the exclusive M leather steering wheel features an M logo on the center spoke and gearshift paddles on the reverse. The multifunction buttons on the steering wheel spokes and the spoke inlays are finished in Pearl Gloss Chrome. 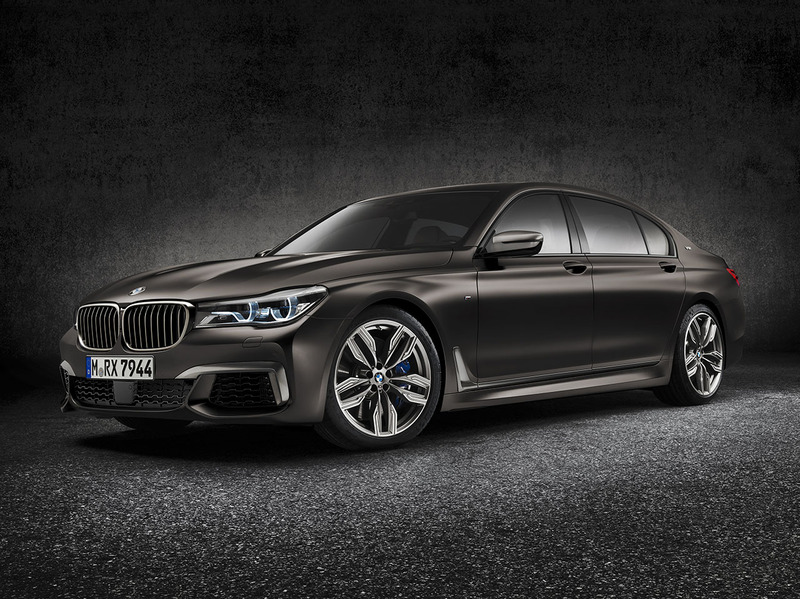 The model designation is positioned at the center of the dial, offering a clear hint as to the performance the BMW M760i xDrive is ready to unleash. 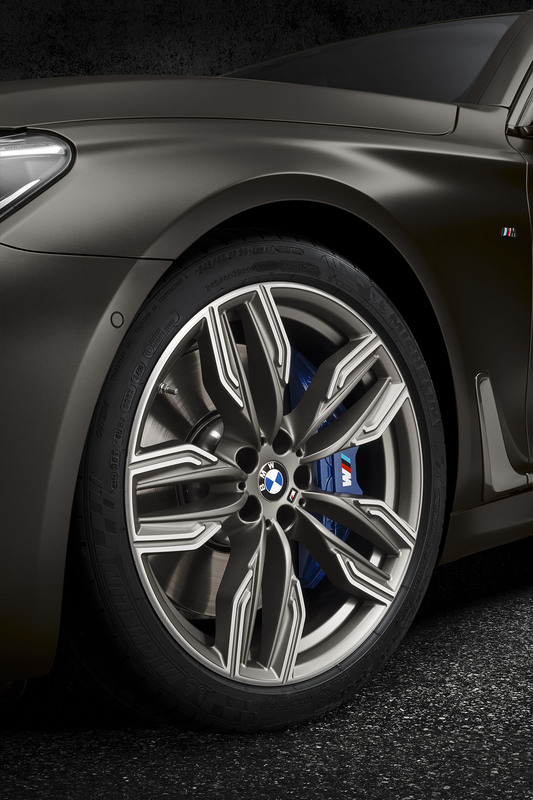 The M pedals and M driver’s footrest in stainless steel with black rubber inserts provide an additional sporty-technical touch and accentuate the character of the BMW M760i xDrive as a driver’s car. 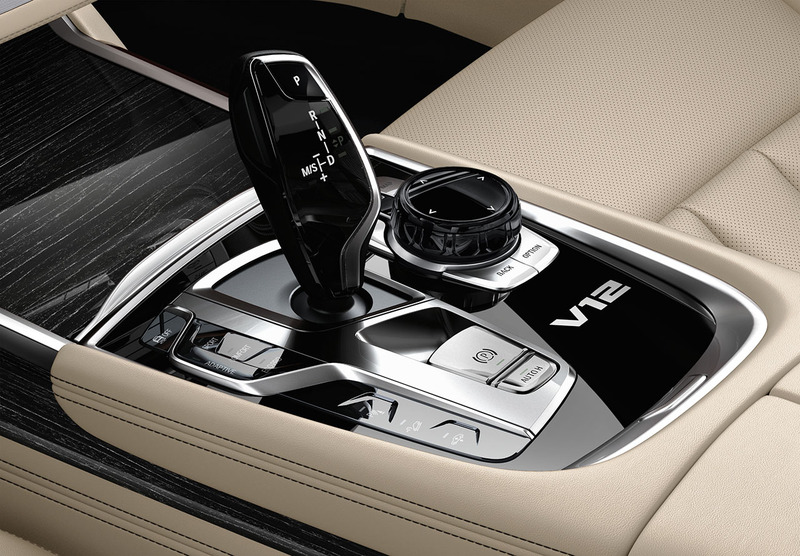 A BMW Individual decorative inlay – in Piano Finish Black and bearing a V12 badge – positioned in the area around the selector lever and iDrive Controller lends even greater exclusivity to the interior. 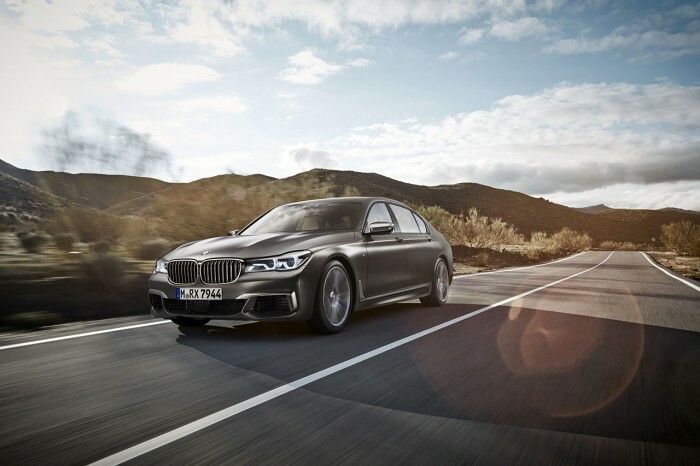 The all-new BMW M760i xDrive is offered with a wide range of all-new or optimized assistance systems including semi-automated driving systems. 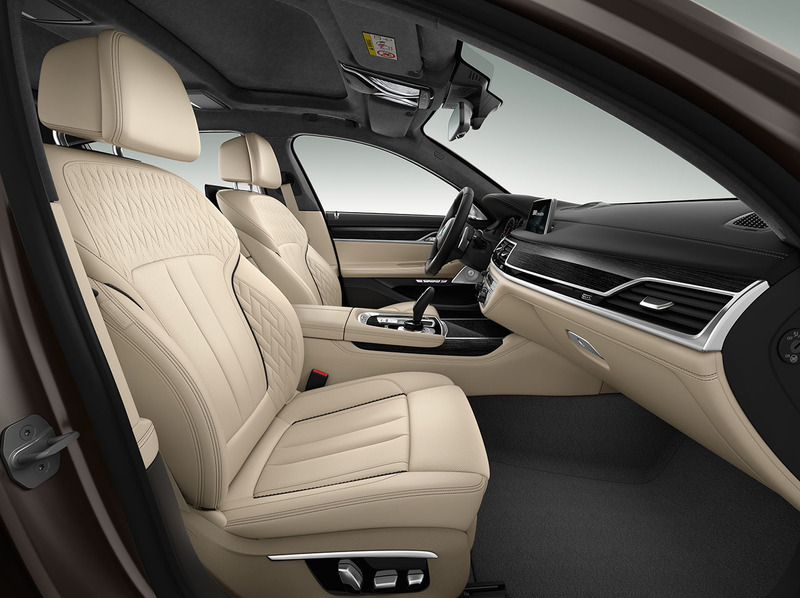 Also, unique is the number of functions that can be integrated in the car using Apps, either via the built-in SIM card or a smartphone and operated using the iDrive control system. 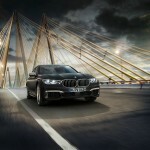 Courtesy of the embedded BMW ConnectedDrive Services SIM card the Advanced Real Time Traffic Information function are part of the standard Navigation System. 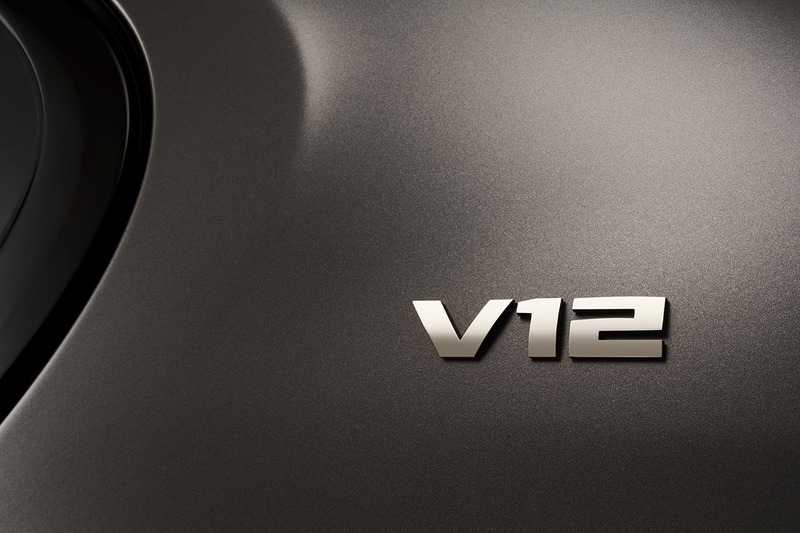 The SIM card also allows over-the-air automatic navigation map updates free of charge for the first three years after the vehicle is first registered. 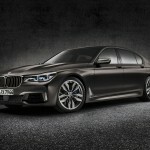 Intelligent connectivity in the new BMW 7 Series also supports interactive traffic sign updating which is new in the auto industry. 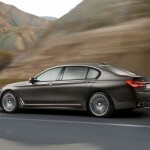 Images of roadside traffic signs recorded by the Speed Limit Info camera, along with their position data, are relayed anonymously to a BMW server, which then makes any necessary changes to keep the map database up-to-date at all times. 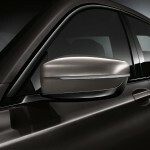 Drivers who activate this function are helping to keep the navigation database accurate, reliable and up-to-date not only for themselves but also for all BMW ConnectedDrive customers. 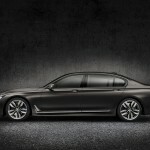 The new BMW 7 Series sets new benchmarks in its class for a luxurious and convenient ownership experience with enhanced BMW Ultimate Benefits now expanding to vehicle services. 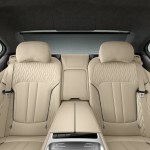 A time-saving service, providing white glove treatment, priority status and priceless BMW access to 7 Series customers that is unprecedented in this segment. 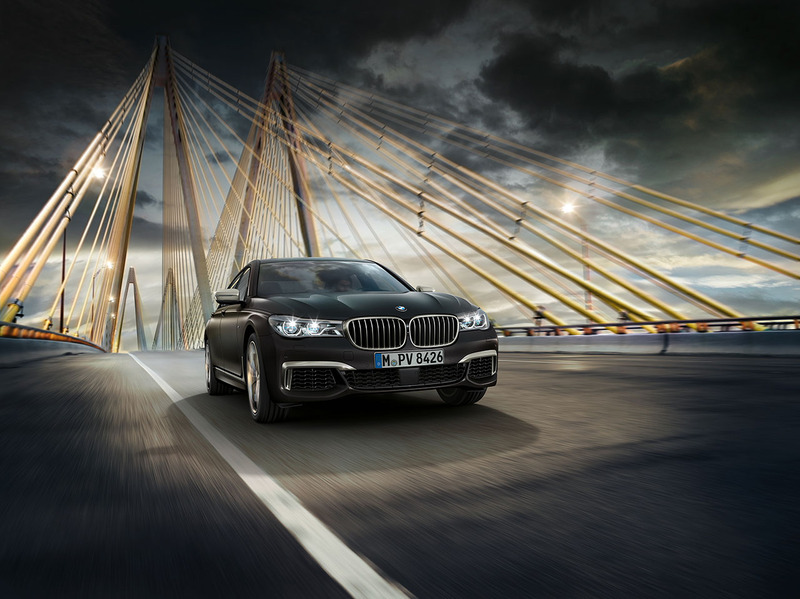 The Ultimate Benefits for 7 Program encompasses BMW Encore® Delivery, Priority Service appointments, Vehicle Valet service, a comparable Service Loaner in the interim, Supreme Vehicle Spa treatment and 24/7 Concierge Support. 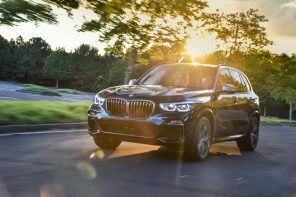 BMW Encore® Delivery provides a one-on-one follow-up appointment dedicated to answering all questions about features of the customer’s new vehicle. This second delivery is scheduled at a time of convenience and at the customer’s preferred location.